Somehow we got to Easter weekend already. I have no idea how that happened. 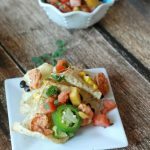 I snagged you seven really fun recipes this week – a nice change from all your Easter food fare, plus a way to use up leftover ham. Oh! And dessert? Scroll down to see the dessert. In fact, I’ll probably make that first. 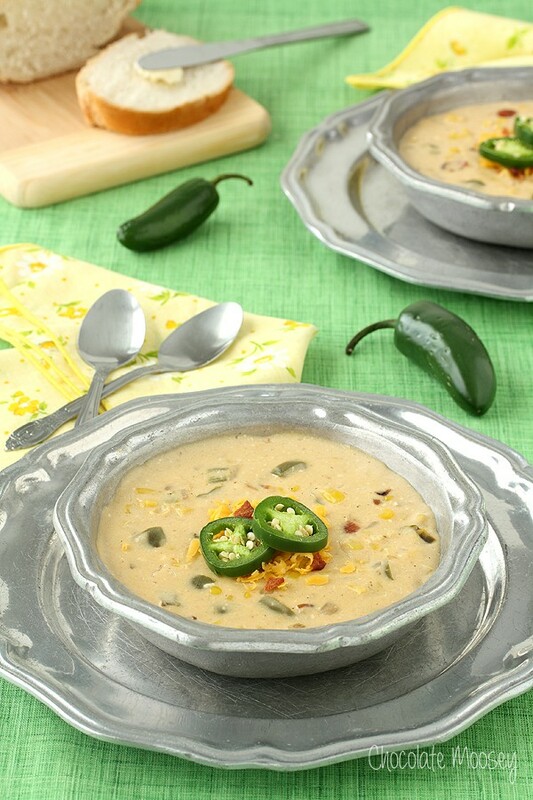 Jalapeno Popper Corn Chowder via Chocolate Moosey – Soooooo… I went looking for a corn chowder recipe because they usually call for a ham bone and the day after Easter lots of people have those, right? But this is the recipe I found. It does not use a ham bone but it has BACON. And jalapenos. 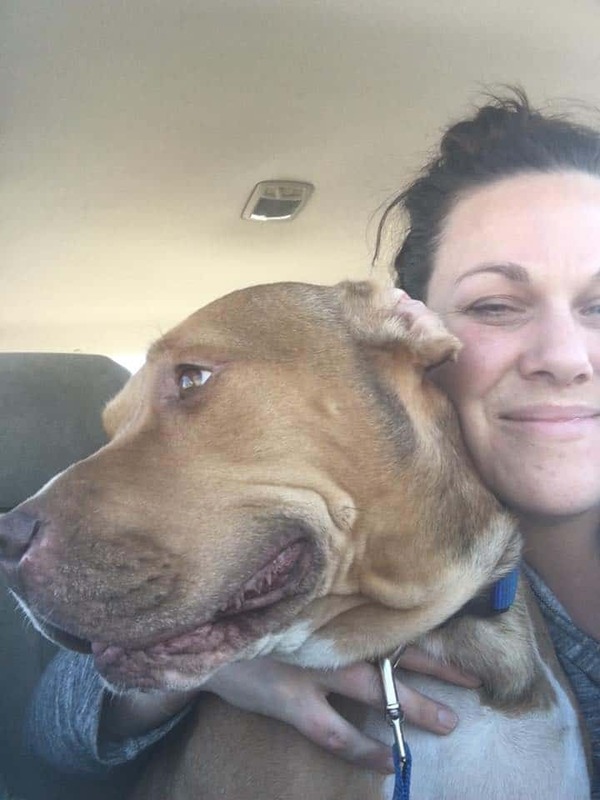 So give the ham bone to your dog and make this soup. 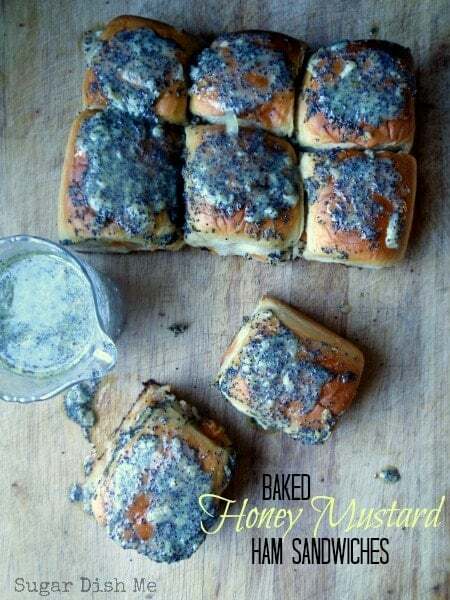 Baked Honey Mustard Ham Sandwiches via Sugar Dish Me – Just in case you still have ham hanging around and aren’t sure what else to do with it… Also you should know that these are covered in a sweet onion poppy seed dressing that should accompany all the sandwiches forever and always amen. 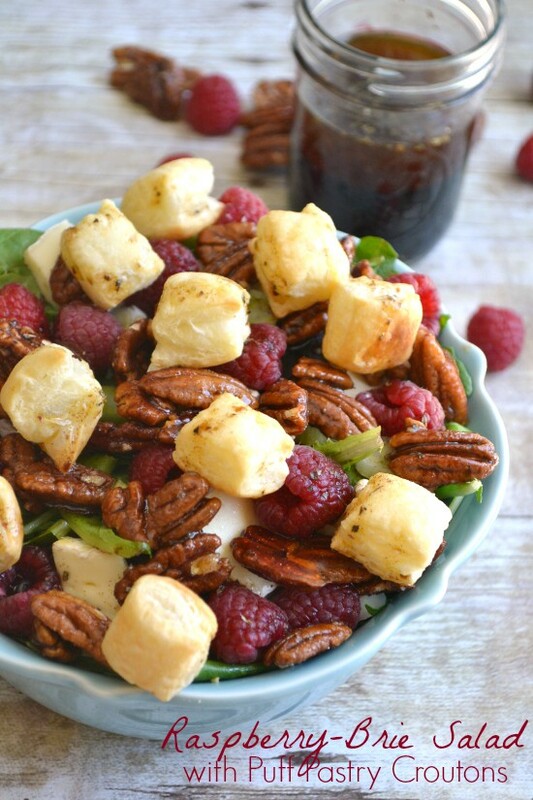 Raspberry Brie Salad with Puff Pastry Croutons via Lemon Tree Dwelling – There are so many FANTASTIC things about this salad and I can’t wait to make it. Plus what you don’t know (but you do now!!!) is that there is also a homemade Honey Cinnamon Balsamic Vinaigrette — dig in. 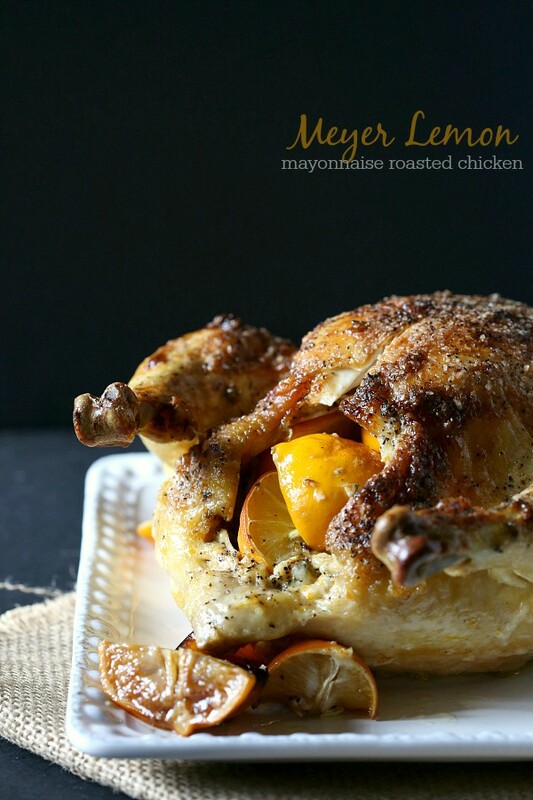 Meyer Lemon Mayonnaise Roasted Chicken via Nutmeg Nanny – I love Thursdays for chicken roasting — it makes great weekend sandwiches. But I am pretty sure there won’t be one little scrap leftover with this roasted chicken from Nutmeg Nanny. Gorgeous, gorgeous, gorgeous! 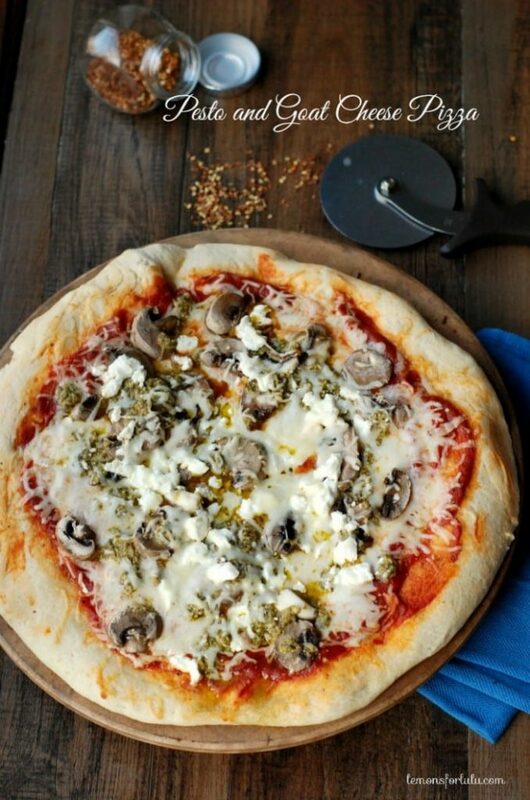 Pesto and Goat Cheese Pizza via Lemons for Lulu – Because on Fridays I am nothing if not predictable, plus this looks crazy delicious. 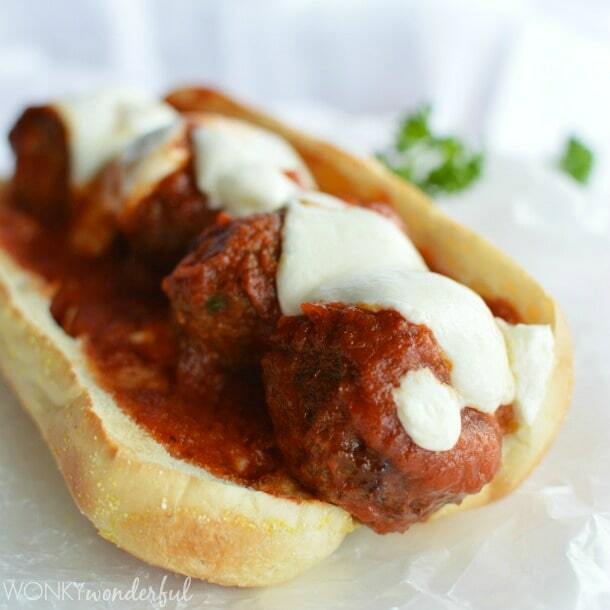 Meatball Sub Sandwiches via Wonky Wonderful – Okay so I super love meatball subs anyway, but these really really take the cake. AND they are super fast, plus they will feed a houseful of bottomless pit boys, in case you need that. 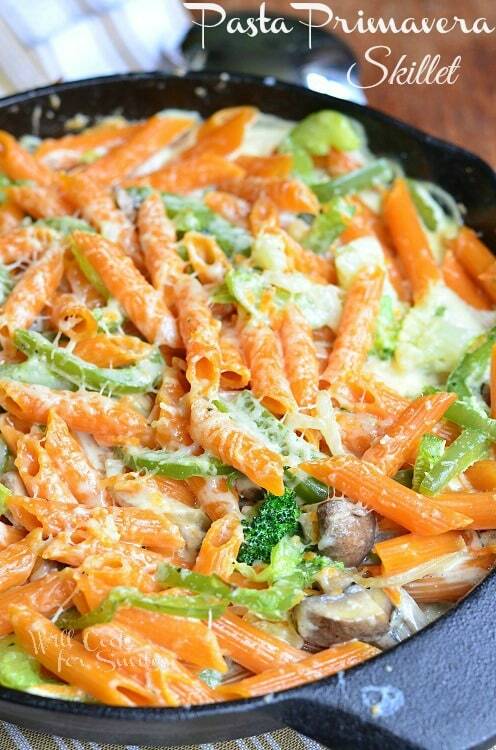 Pasta Primavera Skillet via Will Cook for Smiles – Veggies, pasta, cheese, and a cast iron skillet. 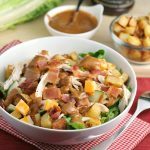 This is one of those fresh but hearty recipes you can set down in the middle of the table knowing that everyone is totally ready to dig in. 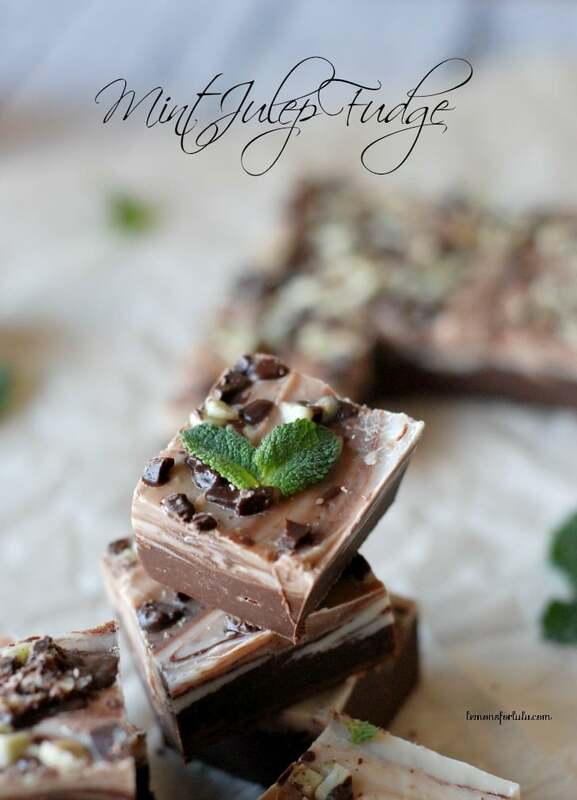 Mint Julep Fudge via Lemons for Lulu – So when I saw this fudge yesterday I actually stopped what I was doing and messaged Tanya at Lemons for Lulu to tell her that I was rendered speechless. Like I almost spilled my coffee I was so stunned by the chocolate perfection right here. HAD to pass that on. And we always have tons more ideas pinned on Pinterest! 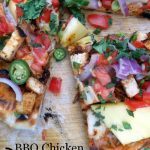 Follow Sugar Dish Me’s board Tacos, Quesadillas, & Mexican-Inspired Meals on Pinterest. Happy cooking & have a great Easter holiday weekend! Those ham sandwiches are dangerous! Everything looks so great, Heather! Thanks Marie!!! And yeah — I super love those sandwiches! Absolutely love the little ham sandwiches. I made them last weekend and as usual they are the first to go….mom have a wonderful Easter weekend!! 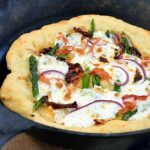 Brilliant round up- all the recipes look divine! Thanks Kelly!I love those sandwiches! They are dangerous!